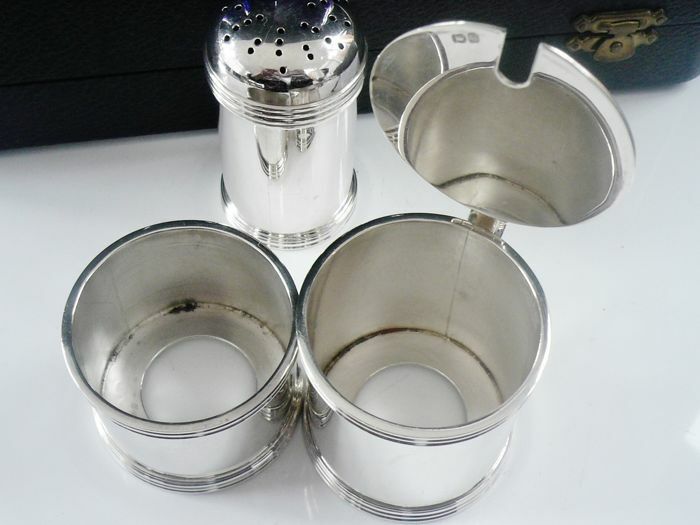 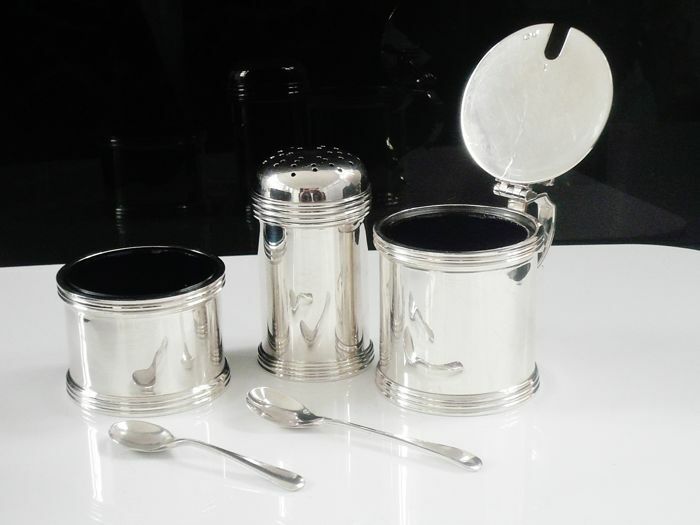 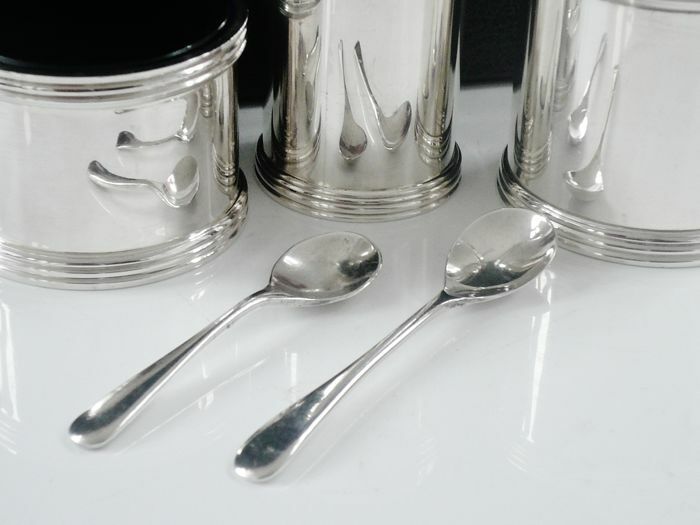 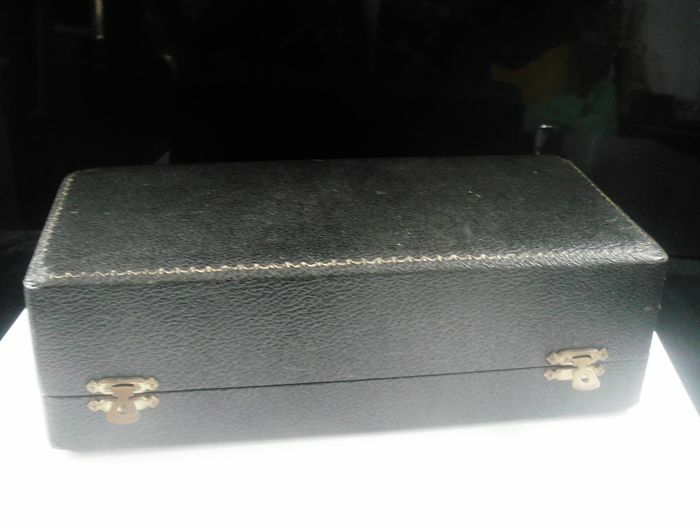 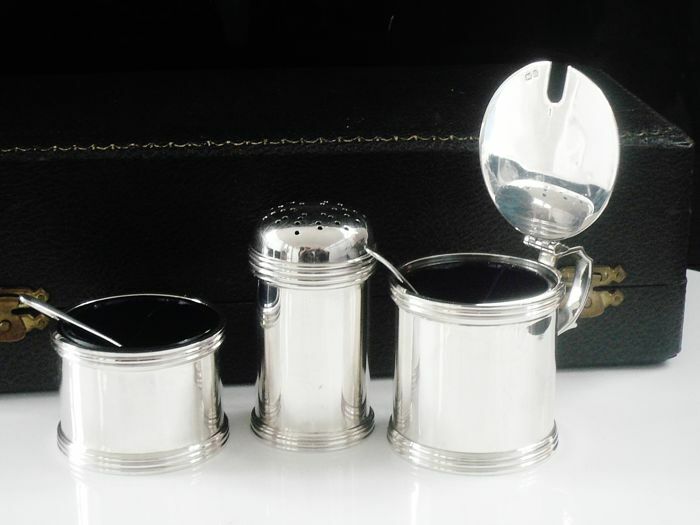 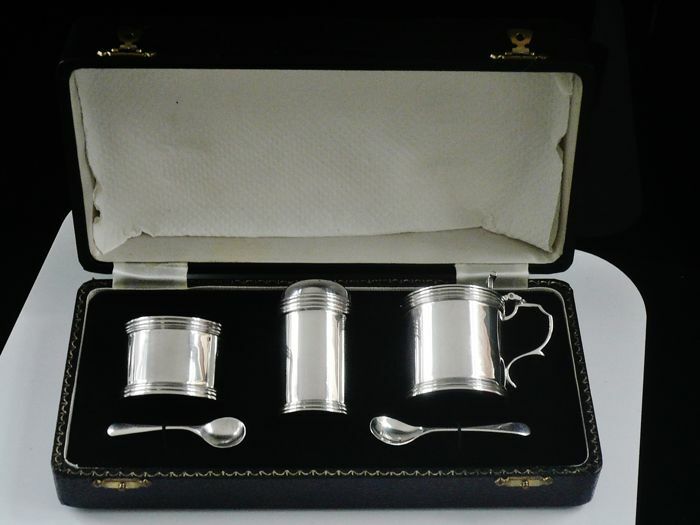 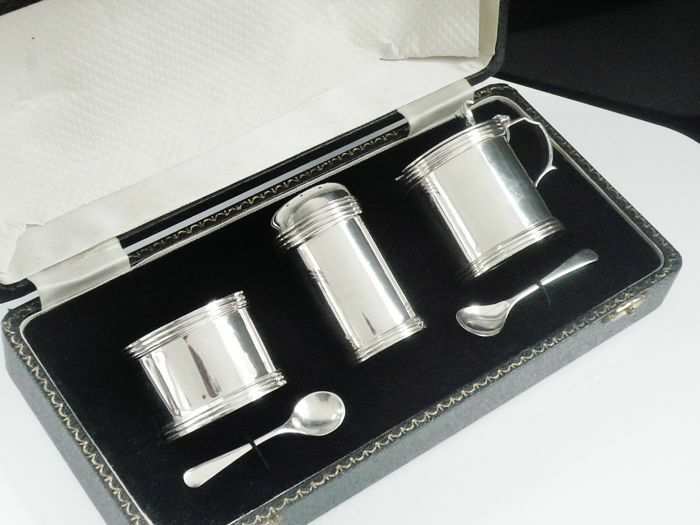 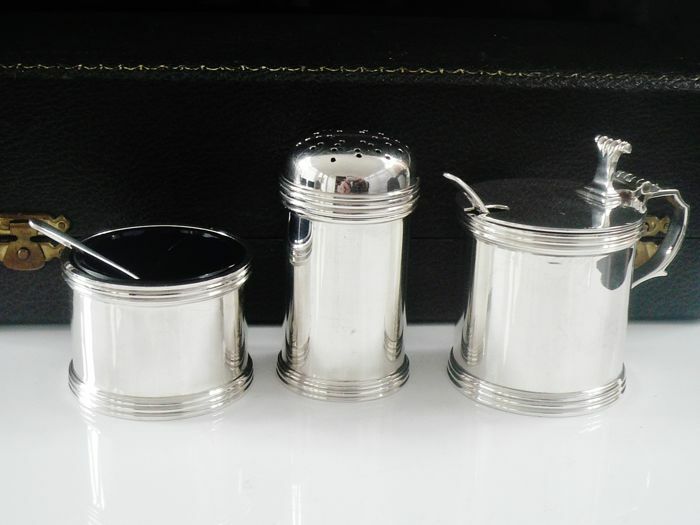 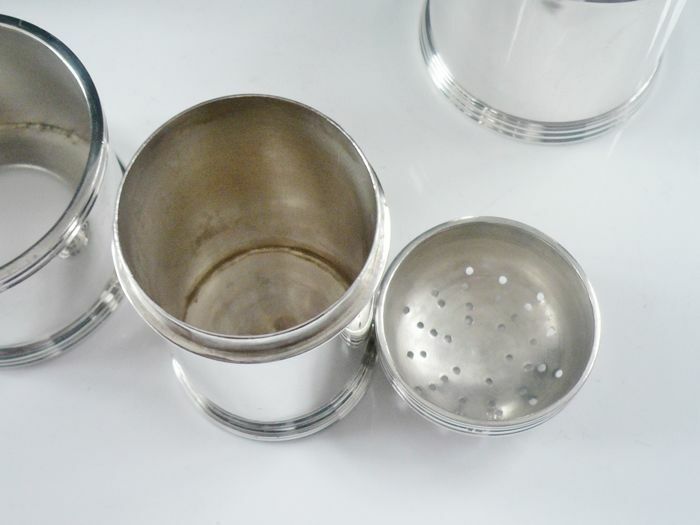 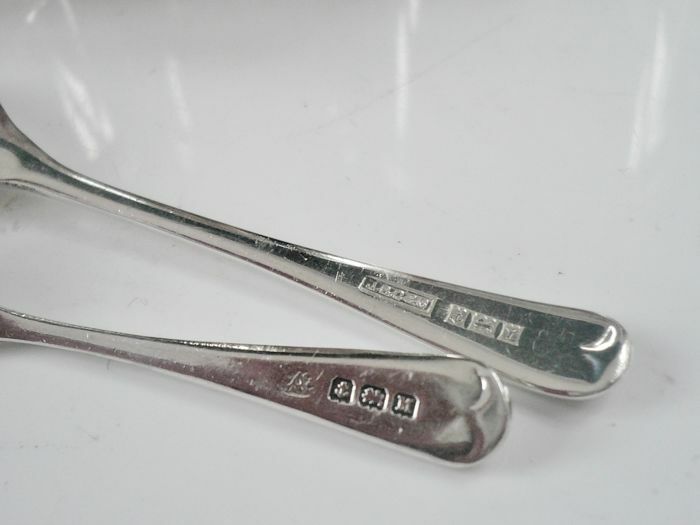 An English sterling silver condiment set complete with its original case. 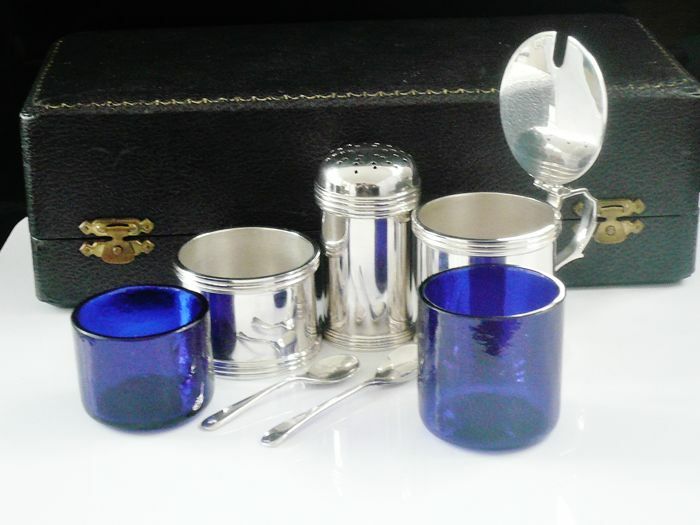 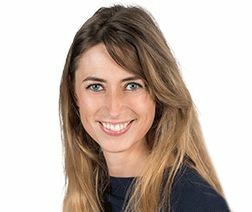 The set comprises of a mustard pot with glass liner and spoon, a salt cellar with glass liner and spoon and a pepper pot. 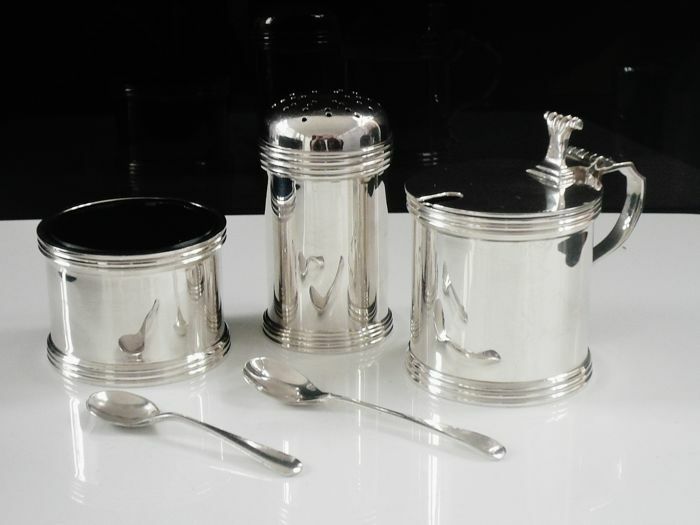 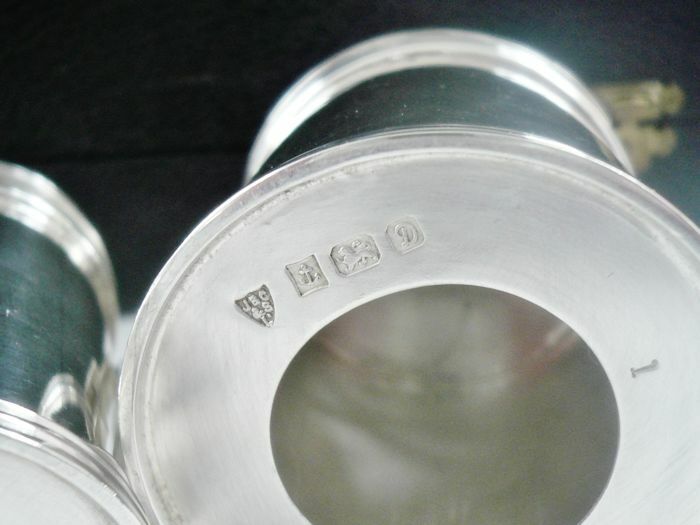 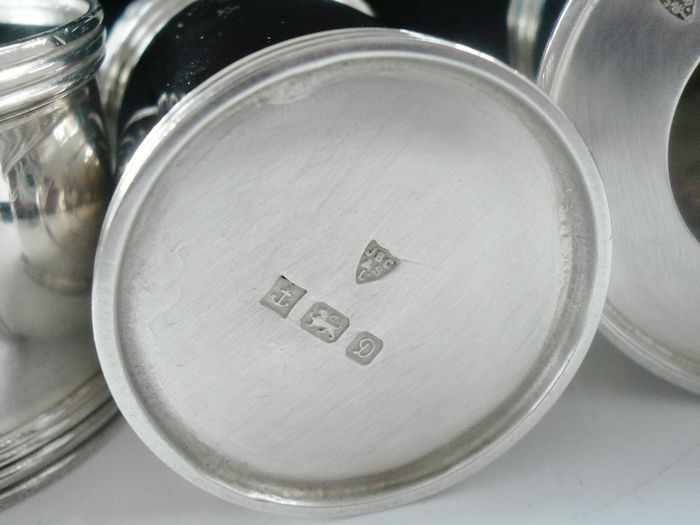 The three pots are hallmarked from Birmingham in 1978 with the makers mark being that of J B Chatterley & Sons Ltd, mustard spoon is also by J B Chatterley & Sons Ltd and hallmarked Birmingham in 1973, the salt spoon was missing so we have added a suitable replacement which is by Adie Brothers and hallmarked from Birmingham in 1936. 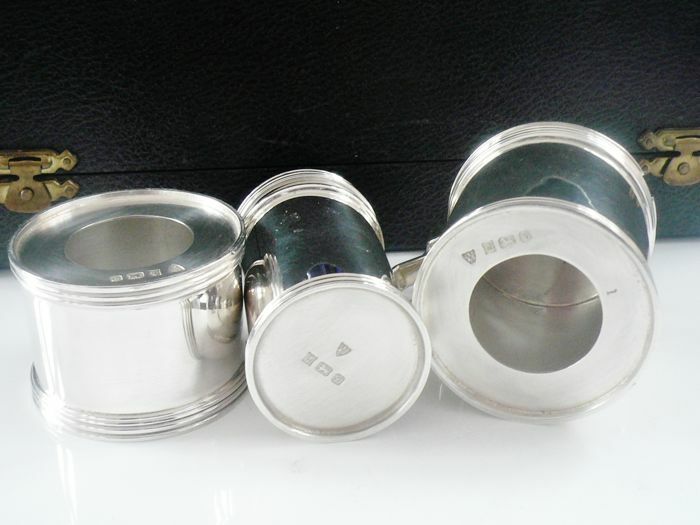 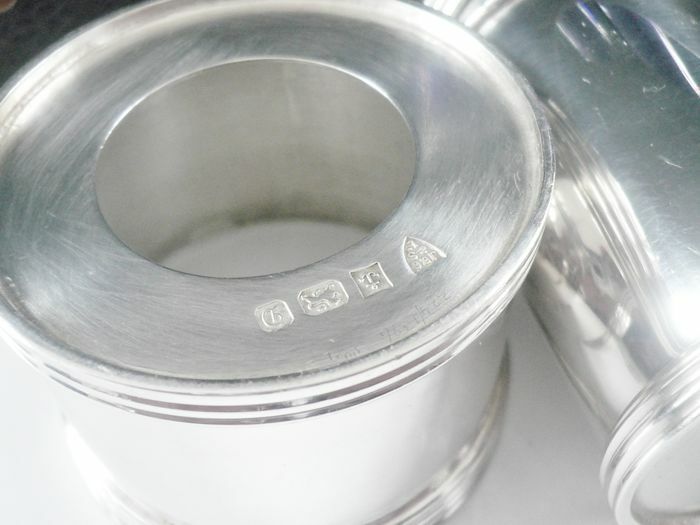 A super clean and ready to use set with no damage, all with a nice mirror like finish. 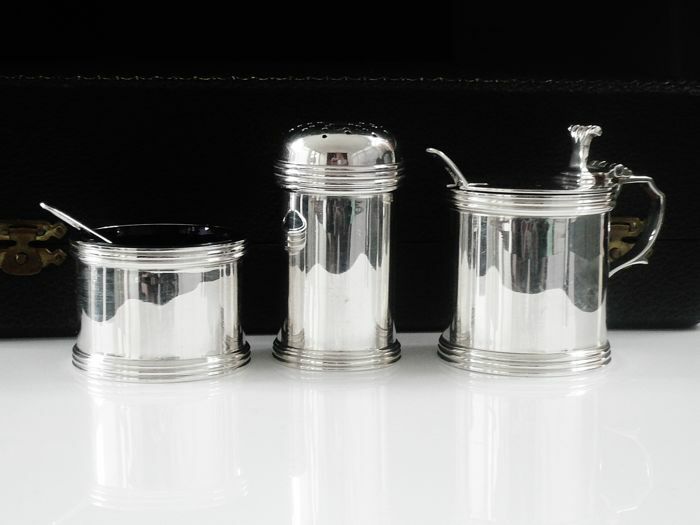 As an indication of size the pepper pot stands 63mm in height.